Hope is not a policy, but neither is despair, as South Asia expert Stephen Cohen says in a recent essay on Pakistan. So it is with relations between India and Pakistan. 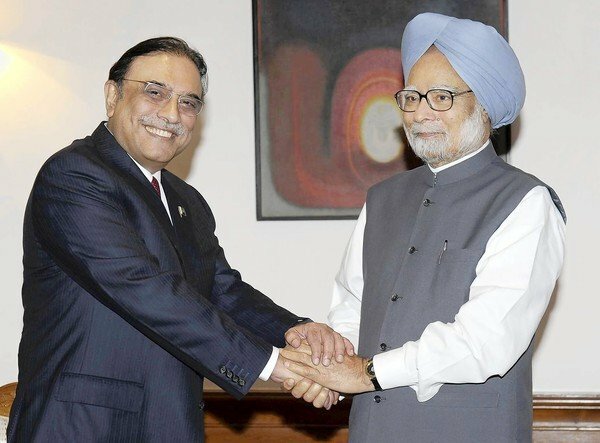 The past few days have shown how fragile the relationship can be – even as India welcomed President Asif Ali Zardari’s private trip to India on Sunday – the first by a Pakistani head of state for seven years – and PM Manmohan Singh invited him for lunch, the $10m US bounty for Hafiz Saeed, the founder of Pakistan-based militant group Lashkar-e-Taiba, provoked the cleric to openly launch a fresh attack against India (and the US). But people live in hope, so Indian media is gung-ho about Mr Zardari’s visit. They say the Pakistani president must be applauded for trying to end trade discrimination against India, easing petroleum imports from across the border, and moving towards a liberal visa deal. “Under Mr Zardari’s watch, India and Pakistan are considering a sweeping agenda for economic co-operation for the first time in decades. The prime minister has every reason to welcome Mr Zardari warmly and consider the next steps in consolidating the unexpected movement in bilateral relations,” the Indian Express wrote. 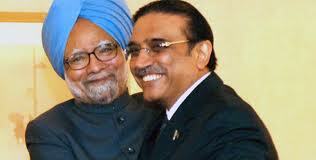 Analyst C Raja Mohan believes Mr Singh must make an official trip to Pakistan after his meeting with Mr Zardari. “For his part,” he wrote, “Mr Singh should convey to Mr Zardari his readiness to move as fast and as far as the Pakistan president is willing to go.” Others like Jyoti Malhotra actually find Mr Zardari’s visit to the shrine of a famous Sufi Muslim saint in Rajasthan loaded with symbolism in these troubled times. “Clearly, Mr Zardari has stolen an imaginative moment from the bitter-sullen history of India-Pakistan, by asking to come to pay his respects to a cherished and much-beloved saint across the Indian subcontinent,” she wrote. The relations between two neighbours remain complex. A 2010 Pew survey found 53% of the respondents in Pakistan chose India as the greater threat to their country, and only 26% chose the Taliban and al-Qaeda. At the same time 72% said it was important to improve relations with India, and about 75% wanted more trade relations and talks with India. Pundits like Mr Cohen believe that it will “take the [Pakistan] army’s compliance, strong political leadership, and resolutely independent-minded foreign ministers to secure any significant shift of approach towards India”. None of this appears to be in much evidence at the moment. Both countries have seriously weakened governments that makes them unable to move towards any radical confidence building measures. In the current circumstances, President Zardari’s visit can only be a small bonus. And as scholars like Kanti Bajpai suggest, India must remain patient (even if faced with another Mumbai-style attack), continue to engage with Islamabad, help the civilian government in Pakistan politically, try to resolve a few outstanding disputes like Siachen and Sir Creek, build a relationship with the army and explore the possibility of cooperating with Islamabad on the future of Afghanistan. Despair does not help mend a stormy relationship. The leaders of India and Pakistan will meet on the sidelines of a regional summit this week, as the nuclear-armed rivals seek to push a tentative rapprochement in their fractious relationship. Talks between Indian Prime Minister Manmohan Singh and Pakistani counterpart Yousuf Raza Gilani will take place at the summit of South Asian Association for Regional Cooperation (SAARC) nations that opens Thursday in the Maldives. India’s foreign minister said Wednesday that a “trust deficit” with Pakistan was shrinking as he headed for a regional summit, in a clear sign of warming relations between the neighbours. “The trust deficit with Pakistan is shrinking,” S.M. Krishna said on board his flight to the South Asian Association for Regional Cooperation (SAARC) summit in the Maldives, the Press Trust of India news agency reported. He also said that it was necessary for Pakistan and India to develop a joint strategy to fight terror in the region, the agency reported. Their meeting follows what Indian Foreign Secretary Ranjan Mathai described as “positive indicators” from Pakistan in recent weeks that it is serious about reducing tensions. An Indian military helicopter which strayed into Pakistani territory last month was promptly released along with its crew and returned to India, avoiding what in the past could easily have escalated into a diplomatic row. And last week the Pakistani cabinet approved a proposal to grant India the status of “most favoured nation” in a move towards normalising trade relations. “These are I would say indications of forward movement,” Mathai said, adding that “all aspects” of the India-Pakistan relationship would be discussed during the Singh-Gilani talks. The two prime ministers last met in March when Gilani accepted Singh’s invitation to watch the India-Pakistan cricket World Cup semi-final. They last held formal talks at the 2010 SAARC summit in Bhutan. But efforts to reduce tensions have been complicated by the increasing influence of Afghanistan in the bilateral equation. Indian involvement in Afghanistan is sensitive, with Pakistan vehemently opposed to its arch foe meddling in what it considers its backyard. Islamabad’s suspicions were fuelled when Afghanistan and India signed a strategic partnership pact last month. Afghan President Hamid Karzai will also attend the SAARC summit, along with the leaders of other member nations Bangladesh, Bhutan, the Maldives, Nepal and Sri Lanka. Previous summits of the regional body have been largely overshadowed by the India-Pakistan dynamic — a fact that Mathai acknowledged with regret. “We would like the focus to remain essentially on the common business of SAARC … and hope that the focus will not be diverted to one single event,” he said. The summit is being held in Addu, on the southern Maldives’ island of Gan. 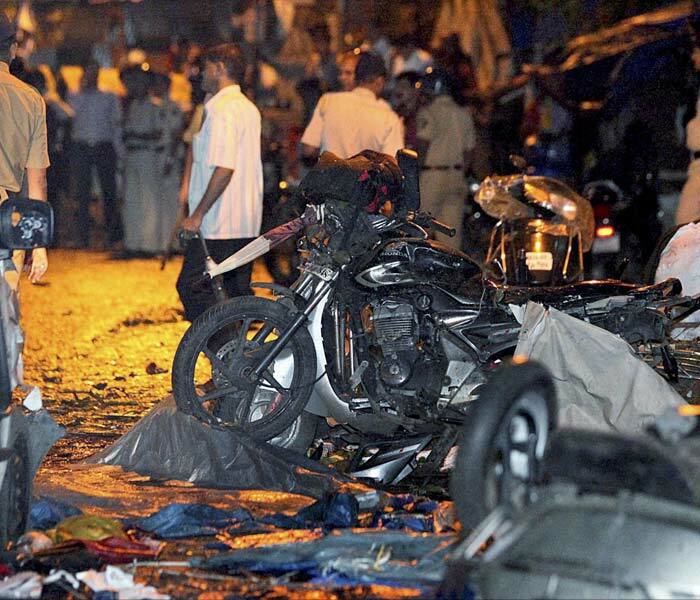 The improvised explosive devices (IEDs) used in the triple bombings were not crude but prepared with “some level of sophistication”, the government said as investigators scrambled for clues on a rain-soaked Thursday and a weary Mumbai picked up the pieces after yet another terror strike. A day after 17 people were killed and 131 injured when synchronised blasts rocked India’s financial capital, striking the congested areas of Dadar, Zaveri Bazaar and Opera House within minutes of each other, there was no breakthrough on who was behind it. “We will ensure no matter wherever the accused are, we will identify them and bring them to book,” Maharashtra Anti-Terrorism Squad (ATS) chief Rakesh Maria vowed, appealing for faith and trust. In a flurry of activity, Prime Minister Manmohan Singh and Congress chief Sonia Gandhi headed for Mumbai. Home minister P. Chidambaram reached on Wednesday night and opposition leader LK Advani on Thursday morning. Resigned, outraged or simply stoic, Mumbaikars rallied around to battle the crisis, 31 months after the Nov 26-28, 2008 terror assault, India’s worst. They waited outside morgues to claim the bodies of their kin, lined up at hospitals or packed into trains and buses to go about their daily work. “I am a Mumbaikar and we shall not be scared by these terror attacks. Like me, lakhs of co-commuters are in the trains, buses and roads. It actually helps gives strength to each other,” Archana Shukla said as she went to work. In Zaveri Bazaar, Mumbai’s most popular address for jewellery that on Wednesday saw its third terror strike, merchants were shocked. But said firmly they were staying put. “What is the point in shifting base? Are other business locations safer?” asked Raju Solanki, a gold jeweller. That was a question even experts were loathe to answer as investigators began unravelling the conspiracy behind this latest assault by yet unknown terrorists. Various agencies, including the National Security Guard (NSG), the Central Forensic Science Laboratory (CFSL) and the National Investigation Agency (NIA) and Mumbai Police, were involved in the probe. According to union home secretary RK Singh, the ammonium nitrate-based IEDs were “not crude” but indicated “some level of sophistication”. A top doctor at one of the hospitals where the bodies of the dead were taken for a post mortem said an electric circuit, that may have triggered the blast, was found on one of them, leading to speculation that it may have been a suicide bomber at work. Sources said traces of ammonium nitrate, also confirmed by Chidambaram, and fuel had been found in the explosives. “Ammonium nitrate was used with a timer. The fact that they all took place within minutes of each other — eight-to-10 minutes — shows that it was a coordinated terror attack,” Chidambaram said. The CCTV footage holds the key. Sources told IANS that some of the footage was marred by the rain and bad light Wednesday evening. Hours after visiting the terror sites, Chidambaram said 131 people had been taken to 13 hospitals with injuries. He said one severed head was also found at the site that could take the death toll to 18. Addressing a press conference in Mumbai, he admitted there was no prior intelligence input. Quick to seize the initiative, BJP leader Advani pointed the needle of suspicion towards Pakistan. “It is a policy failure not intelligence failure. There have been repeated attacks on Mumbai, this is a failure of policy,” Advani told reporters. Advani quoted reports of a probable link between the blast and the Indian Mujahideen (IM) and said even if it were behind the attack it was being sustained by Pakistan. “The last attack on our land is proved to have been engineered by the ISI (Inter-Services Intelligence),” Advani said. “So far as India is concerned, the government of India should shed its ambivalence to terrorism,” Advani said. Pakistan’s foreign minister comes to New Delhi for talks July 26-27 and external affairs minister SM Krishna said the terror strikes would not impact the strategic dialogue. The timing of the attack has raised suspicions in informed strategic circles over whether the serial blasts were engineered by those who wanted to derail the peace process in the subcontinent. Pakistanis for Peace Editor’s Note– We at Pakistanis for Peace are saddened by this loss of life and would like to let our Indian friends know that we as Pakistanis for Peace stand in solidarity with India against acts of terror. India and Pakistan today discussed demilitarisation of Siachen, a mountainous region where borderline is not demarcated, in a “constructive framework”, picking up the threads of the issue after a gap of three years. The issue came up for discussion during the 12th round of two-day Defence Secretary level talks between the two sides. “The talks were held in a constructive framework. Both sides apprised each other of their perception about the Siachen issue and also discussed the surrounding issues,” Defence Ministry officials said. Defence Secretary Pradeep Kumar led the Indian delegation at the talks with his Pakistani counterpart Lt General (Retd) Syed Ather Ali. The decision to resume the talks between the two countries was taken last year during the meeting of Prime Minister Manmohan Singh and his Pakistani counterpart Yousuf Raza Gilani in Thimpu when they decided to take forward the dialogue process. While the Pakistani delegation has two civilian officials and four military officers, the Indian side includes Special Secretary R K Mathur, Director General of Military Operations (DGMO) Lt General A M Verma and Surveyor General S Subha Rao. The Pakistani Defence Secretary met Defence Minister A K Antony in the afternoon for over 20 minutes. The two sides may come up with a joint statement tomorrow after the talks, the officials said. Pakistan has been asking for demilitarisation of the Siachen glacier and raised the issue of climate change there due to presence of troops from both sides and its effects on the environment. Siachen, with an area of over 2500 sq km, the world’s highest militarised zone, has been a long pending issue between India and Pakistan over differences on the location of the 110-km long Actual Ground Position Line (AGPL) which passes through the Soltoro Ridge and Siachen Glacier. Every time there is a Pakistan-sourced terrorist attack in India, the reaction in the world’s largest democracy is predictable. Demands range from “hot pursuit” of the terrorists across the border to cries for all-out war. In the last decade, analysts have proposed other alternatives: surgical air strikes, a limited armored offensive and covert operations. The latter option seems especially inviting after U.S. special forces took out Osama bin Laden last Sunday. These demands for strong action are in stark contrast with the way the Indian government has responded to these attacks: pursuing bland diplomacy. The starker this contrast gets, the more complicated it will be for New Delhi to implement a foreign policy that is assertive, yet careful and deterrent, in the future. Instead, if the government displays the requisite will and capabilities for a targeted strike today, it can avoid the need for an actual strike later. New Delhi bought that assurance and started to reach out to Islamabad diplomatically. Yet its pattern of responses since 2002 has led to six more terrorist attacks originating in Pakistan. All Islamabad has done is give similar reassurances. After the attack on Mumbai in November 2008, India found itself in the same trap. It issued the usual protests accompanied by vague threats of retaliation and called off the dialogue that had started a few years ago. But Islamabad denied any state complicity. 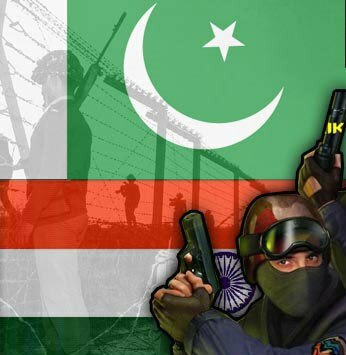 At that point, India’s strategic-affairs and military community noted that New Delhi had to raise Pakistan’s costs of encouraging cross-border terrorism. However, by 2009, the Manmohan Singh government’s energies were focused on sending dossiers of evidence to Islamabad, pointing to proof of LeT’s hand in the Mumbai attacks. Pakistan’s civilian government stalled on them. Still, Mr. Singh staked his reputation on trying to start a dialogue. Earlier this year it began, most visibly at the sidelines of the cricket world cup. What should New Delhi do then? Even with the world’s fourth largest military, India has failed to deter Pakistan’s cross-border terrorism. Now, the success of America’s Operation Geronimo in killing bin Laden has whetted its appetite to do more. Last week, when asked if India could pull off a similar mission, India’s armed service chiefs replied in the affirmative. This could well be bravado on the chiefs’ part, because India suffers from fundamental deficiencies. For one, India’s political leadership has been risk-averse. Even before the two sides fought a limited war in Kashmir in 1999, New Delhi had already announced that it would never cross the Line of Control, the de facto border. This tied the Indian army’s hands when Pakistan crossed this amorphous line and claimed Indian soil as its down. 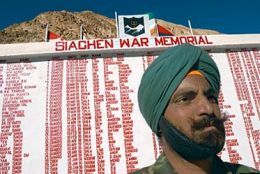 More broadly, India has a history of strategic restraint, which means its diplomatic and military strategy hasn’t been focused on assertively achieving select goals. As a result, India has invested in neither the legal architecture nor the physical capabilities to pull off an Operation Geronimo. For instance, U.S. counterterrorism policy declares that terrorists in breach of U.S. laws who are harbored by any state will be brought back for prosecution through “induced cooperation” and, when necessary, force. India needs something like this. Such laws would give its counterterror operators legal cover as well as set the ground for dealing with other gray legalities in the war on terror. Then there’s the question of what intelligence and arms India can put on the ground. Its human intelligence across the border and experience in foreign clandestine operations is weak. Unlike the U.S.—which probably maintains an estimated 3,000-4,000 intelligence operatives in Pakistan—India has been scaling back its intelligence infrastructure inside that country for the past 15 years. In the late 1990s, then-Prime Minister Inder Kumar Gujral consciously dismantled this infrastructure as part of a new doctrine for peace, a grave strategic error. Equipment- and training-wise, too, India falls short. Indian commandos freed the Mumbai hostages with much clumsiness over a prolonged 72-hour operation in November 2008, making some wonder how they would operate in alien environments. None of this is to suggest that India should prosecute an operation similar to Geronimo in coming months. But being ready for one is necessary. It sends a strong psychological deterrent to those in Pakistan’s intelligence services who may sympathize with and assist the likes of LeT—just like possessing more tanks and fighter jets deters a conventional military threat. It suggests to Islamabad that New Delhi has the necessary political will. Preparing for such small operations can prevent larger debacles in the future. Unless Pakistan’s military-jihadi complex is completely dismantled, it can still pose a threat to India. And the more that threat looms large and the less India prepares to stay ahead of it, there could come a day when a big terrorist attack makes India’s electorate—infuriated with its government’s bland version of diplomacy—scream for blood. Political pressure could then compel an Indian prime minister to hurriedly send in a team of commandos without any direction. Worse, it could hurl the subcontinent into full-scale war. Mr. Mehta is a retired major general of the Indian Army and founder member of India’s Defence Planning Staff. As India and Pakistan get ready to restart peace talks after more than two years, Prime Minister Manmohan Singh says dialogue is the only way to resolve their differences. The embattled Indian leader is also vowing to tackle inflation and punish those guilty of corruption — two issues which have put his government on the ropes at home. Speaking to parliament Thursday, Prime Minister Singh said South Asia will not realize its potential unless India-Pakistan relations are normalized. India is willing to discuss all outstanding issues with Pakistan, he said. But, striking a cautious note, he expressed hope that Islamabad will give up allowing its territory to be used for terrorist activity directed at India. Earlier this month, both countries decided to restart a peace process, which New Delhi had put on hold after blaming Pakistan-based Islamic militants for mounting the 2008 terror attacks in Mumbai. The foreign secretaries of the two countries will meet in the Indian capital in March. Their foreign ministers are to meet by July. Singh’s comments on the peace talks with Pakistan came during an address to parliament, in which he outlined the priorities facing his government. He pledged to lower inflation from 10 percent to seven percent by the end of the year. Food inflation is even higher and has emerged as a major worry in a country with millions of poor people. Singh has promised to bring a new food security bill in parliament to ensure that poor people are protected from rising food prices. Inflation has to be tackled in a manner that it does not hurt the economy, which the prime minister says is growing well. “If we had a ham-handed [heavy] approach, we could have killed the growth process which is the only source of providing jobs for our youth. So, this delicate balance has to be preserved between control of inflation and protection of employment,” he said. The Indian leader also vowed to crack down on those guilty of corruption in connection with sale of telecom spectrum, in 2008, and the organization of the Commonwealth Games in New Delhi, last year. Allegations that officials siphoned off billions of dollars have put the spotlight on corrupt practices in government contracts. With the two corruption scandals dominating headlines in recent months, Singh expressed fears that the wrong impression may be going out. “The message should not go out that India is adrift, that India has lost its way, that the enthusiasm for getting this country moving forward is something that is no longer in evidence,” he said. The Congress-led government was voted back to power in 2009, but is facing a rising wave of discontent both becauseof high food prices and the high-profile graft scandals.